BRIGHTON, Mich.- If you're a fan of our Facebook Page, you probably saw our post this weekend about Dianna, the winner of a brand new 2013 Ford Fusion! Yes you heard that right. 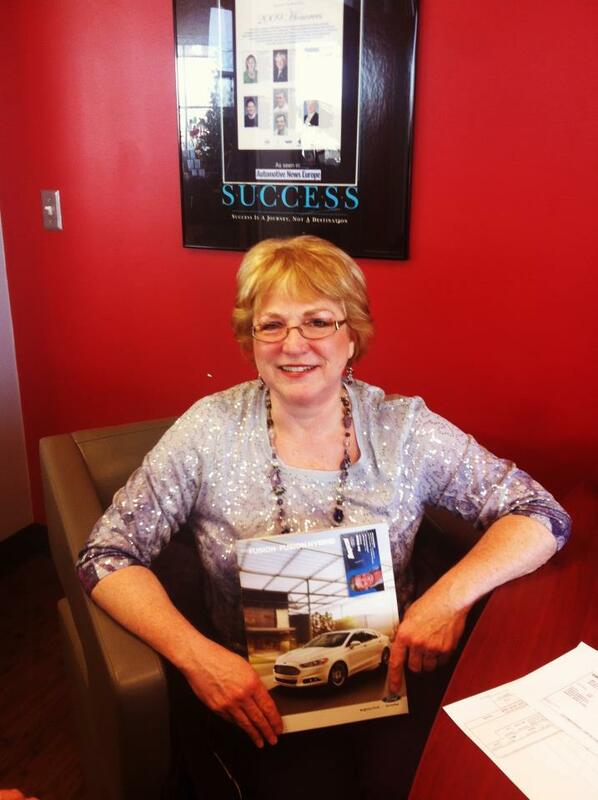 Meet Dianna Williamson, 2013 Ford Fusion Winner. Just like many of you out there, she started entering Ford sweepstakes for the chance to win a new car: online, at Arts, Beats and Eats, and off of the TV show New Girl. Until one day, when she received a message that she had won a new car from Ford! Dianna, who has never won anything before, didn't believe that what she heard in the message was true. Wary of falling into a scam she did her research, with Ford, at the bank, and online until she realized that she was in fact a 2013 Ford Fusion Winner! Stay tuned as we keep you updated with Dianna's final choice! And if you want a 2013 Ford Fusion of your very own, we can make it happen with our Ford Fusion Rebates, Ford Fusion A Plan Pricing and Ford Fusion X Plan Pricing. So come on in to check out our Ford Fusion Inventory, we're located at 8240 Grand River Ave. just north of I-96 in Brighton. We are a family owned and operated business that strives on customer satisfaction. For more information on Brighton Ford visit BrightonFord.com or give us a call at (800)-836-8206. Ford Fusion is the ultimate ride!